A fire extinguisher is something that you should have in your home, garage, business and on your boat. Many people even carry a fire extinguisher in the trunk of their car ‘just in case’ they are involved in one of the more than 400,000 automobile fires that occur each year. Where ever you are, there is no logical reason not to have a fire extinguisher available. They are compact, inexpensive and may just save life and property. The bottom line is that, while we all like to believe it won’t happen to us, bad stuff sometimes happens to good people. All Florida Fire Equipment is the place people in the greater Tampa area go to purchase their fire extinguishers and to keep them serviced and maintained in good working order. 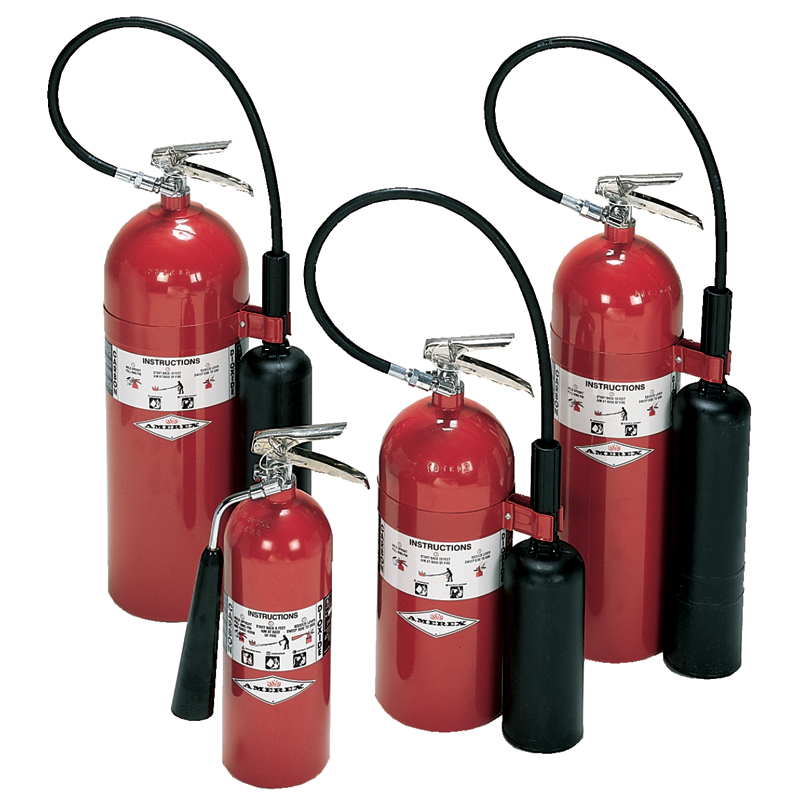 We offer a wide variety of fire extinguishers designed to meet your specific need and situation. Our staff knows all there is to know about fire protection and fire extinguishers, and we’d love to share our knowledge with you and then let you make the most informed decision. Most business and commercial establishments are required by law to have and maintain one or more fire extinguishers on the premises. Different types of business have different code requirements, and our expert staff is here to help you understand the specific requirements for your business to help you be in compliance with local fire codes and insurance company regulations. If you are one of the many folks in our community that owns a boat, then you know that a fire on the water can be a life and death matter. The State of Florida requires that you carry a fire extinguisher if your boat has a built-in fuel tank, an inboard engine, compartments where portable fuel tanks may be stored, or open areas between the hull and deck where flammable or explosive gasses could accumulate. We offer only commercial grade fire extinguishers at All Florida Fire Equipment. These extinguishers meet all NFPA 10 standards and codes, and they won’t cost you any more than the lower quality stuff you’ll find in the aisle at a big box store. Our fire extinguishers will provide you with many years of dependable service, unlike the plastic ones that you’ll have to throw out in a year or two. We are a distributor for Buckeye, Amerex, Badger, and Ansul fire extinguishers throughout the greater Tampa area. 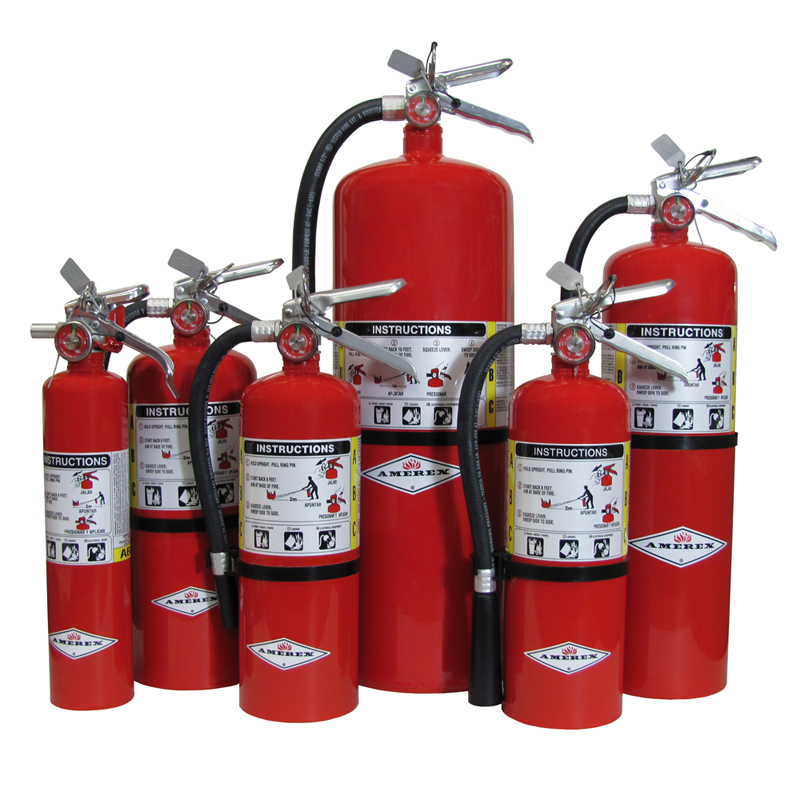 And, not only do we sell these quality units, but we also provide all the required services to make sure your fire extinguisher is in compliance with all fire code requirements. Fire extinguishers are a crucial first line of defense to keep a small fire from becoming a large one. Portable fire extinguishers are lightweight and convenient to use at the onset of a fire. They are designed to be simple to use so that in a moment of crises anyone can easily use one to save life and property. There are different types of fire extinguishers designed to fit specific fire protection needs. Different types of fire require different extinguishing agents for the most effective fire control. We’ll help you determine what kind is best suited for your needs. The type is easily identified by symbols on the container. Class A Fire Extinguisher: These put out fires that begin on combustible material including paper, wood, rubber, cloth and various types of plastics. Class B Fire Extinguisher: These are used against fires produced by flammable liquids including grease, oil, gasoline and oil-based paints. Class C Fire Extinguisher: These are used to control fires that are caused by electrical equipment including tools and appliances. Class D Fire Extinguisher: These are used in industrial situations on flammable metals and must be used according to the specific type of metal. Class K Fire Extinguisher: These are designed for use during fires caused by vegetable oils, animal oils and other fats used in cooking equipment. Class K extinguishers are used in commercial kitchens including restaurants, cafeterias, and catering facilities. They can also be used in residential kitchens. For a Class C Fire you can use any type of fire extinguisher that doesn't conduct electricity. Those extinguishers include ABC Fire Extinguishers, BC Fire Extinguishers, Halon Fire Extinguishers, Water Mist Fire Extinguishers and Co2 Fire Extinguishers. For a Class K Fire you need to use a Class K Fire Extinguisher.